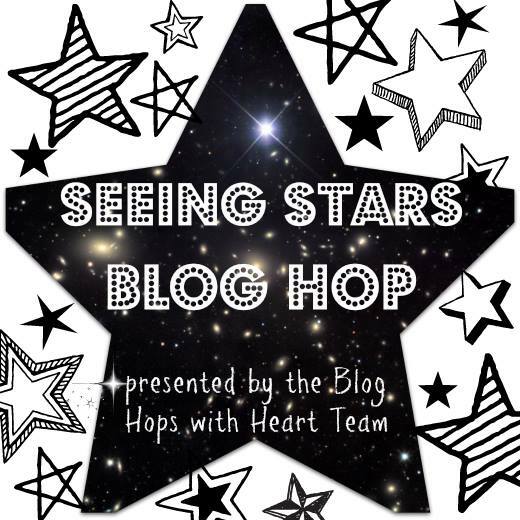 Blog Hops with Heart is back with a “Seeing Stars” theme & I’m kicking things off this month! This is such a fun theme and I’m so excited to see what all the girls came up with! I technically didn’t use any stars on my layout, but I did use a STARburst cut file. That counts right? One of these days I think the girls are going to tell me I’ve gone too far off course with our themes! HA! 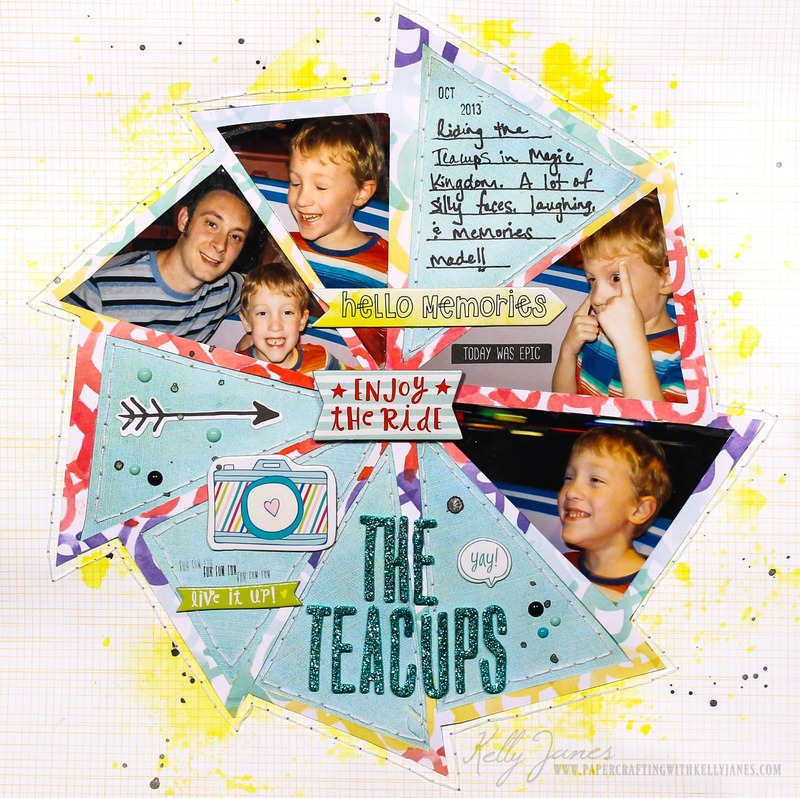 I used the free Camp Glamp Cut File from Scrapbook Nerd that was designed by The Cut Shoppe. I just recently had these photos printed from our 2013 Disney trip and when I was sorting them I literally laughed out loud at the facial expressions that my son was making while we were on the Teacups. I’m still laughing now just thinking about them! I knew I couldn’t choose just one photo and wanted to use them all. They were all printed at 4×6 and a couple of them were a little fuzzy because of the motion of the Teacup ride. I didn’t want to reprint them to a smaller size but I knew if I didn’t find a way to shrink down the size of the photos I would never fit them on one layout. That’s when I spied this cut file! PERFECT! I enlarged the cut file to 11.5 inches to make the center of the triangles as large as they could be. Even then I was worried they wouldn’t be large enough so I made them just a smidge bigger with the magic of Cricut Design Space and my craft knife. I cut the cut file on a patterned paper from Amy Tangerine’s Better Together Collection. This particular paper has a large, bold pattern and I love to use those types of papers for cut files! This paper also had a rainbow of XOXO’s and there was more pink than I was liking for the embellishments I was using so I used my watercolor paints to paint the pink XOXO’s into red XOXO’s. After I had the photos in place I backed the remaining open spaces using an older Basic Grey Collection-Fact. I added hand stitched around the edge of those triangles and along the border of the cut file using white embroidery floss. I started adding embellishments which include Becky Higgin’s “High Five” Project Life chipboard pieces and ephemera from the Hip Kit Club. I used tall, skinny, glittery teal Thickers for my title. I added a few enamel dots & splatters from Heidi Swapp Black Color Shine. I’ve also have process video so you can see how this layout came together! This month is just a short hop, but it’s full of talent! 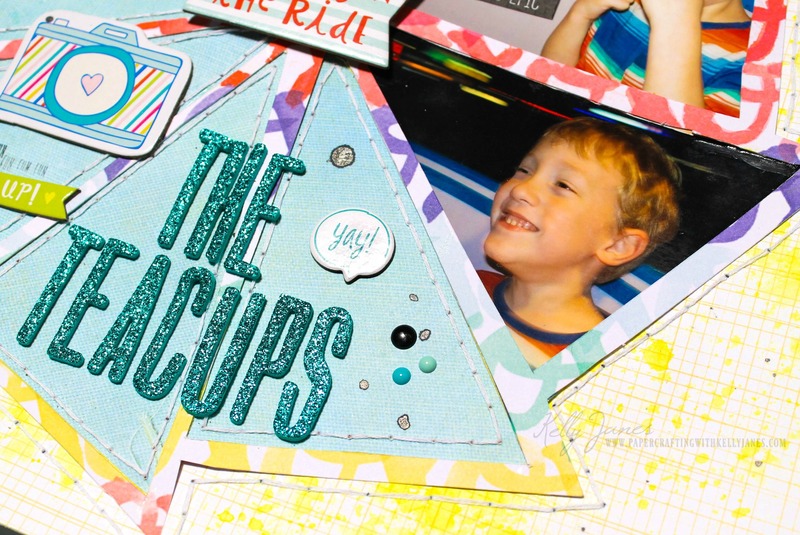 Now it’s time to head to Becca Whitham’s Blog to see what she has created! OH Kelly, another layout that is over-the-top full of cuteness!!! So beautifully balanced, yet not matchy-matchy…I hope you realize the incredible talent you have! Brilliant, while still keeping the pictures of your adorable son as the main focus! I also love that you used a starburst, maybe because I always try to be a bit out of the box too?!? 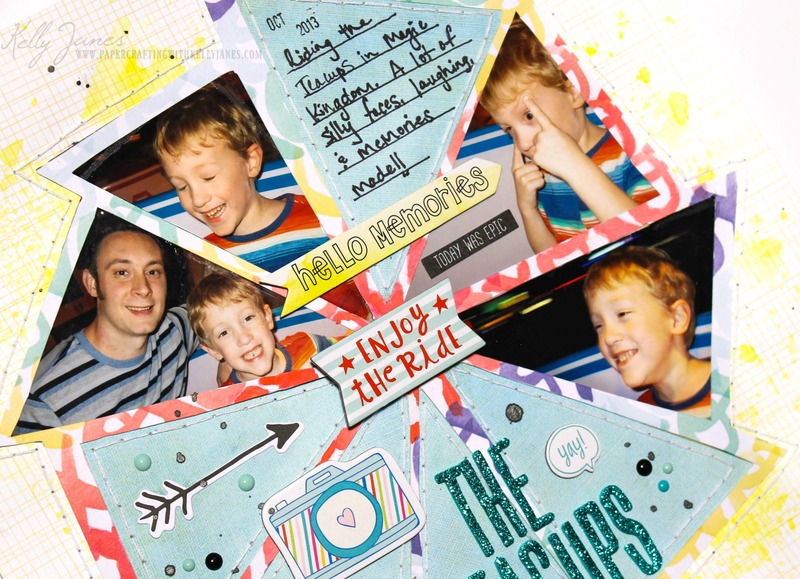 You make me want to get settled and start scrapbooking again! Thank you so much, Stephanie!!! Your card was fabulous! I haven’t tried a galaxy sky yet but I want to give a try now! As always, thank you so much for your sweet comments! I always enjoy reading them and appreciate them so much! !